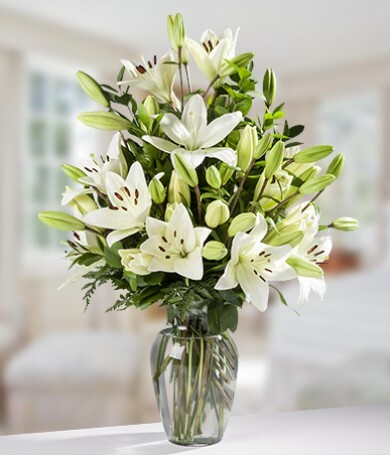 Five stems of white oriental lilies and accent greenery make for an exquisite gift. Our tender white blossoms are delivered as buds, ready to unfurl in the recipient's home. 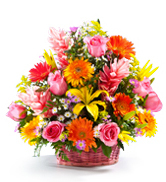 Pure and simple, our lily arrangement is a gift that's meant to touch the heart. 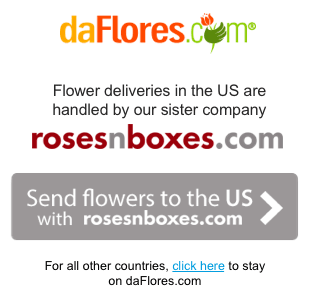 Send our white lilies today—they're perfect for any occasion.